As there are no dietary sources of Glucosamine there is no Recommended Daily Allowance (RDA). The daily intake recommended by Pharma Nord is based on data published in scientific journals focusing on over 20 clinical trials investigating the beneficial effects of glucosamine sulphate in those with arthritis. Pharma Nord recommends three capsules daily, to be taken with food. Which is the best form to take? 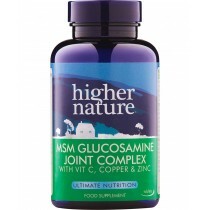 Of the various forms in which Glucosamine may be available, Glucosamine sulphate is the most readily absorbed (>90%) from the digestive tract, and the most readily incorporated into joint tissues. Are there any contra-indications with Pharma Nord Bio Glucosamine Super? 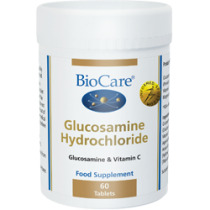 Bio-Glucosamine Super is generally well tolerated but may rarely cause gastrointestinal disturbance in susceptible individuals. Not suitable for those with an allergy to shell fish products. 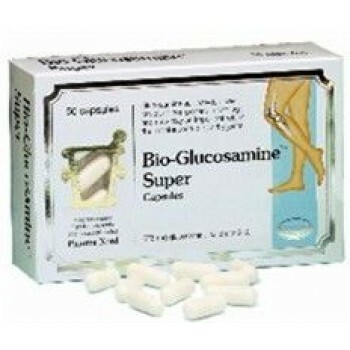 Pharma Nord Bio Glucosamine Super is not suitable for vegetarians. Pregnant and lactating women and those taking medication should seek professional advice prior to taking nutritional supplements.